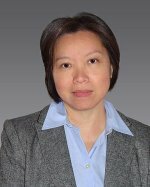 Congratulations to L. Ruby Leung, a Pacific Northwest National Laboratory research scientist, on being appointed to serve as one of three editors for the Journal of Hydrometeorology, published by the American Meteorological Society, beginning in 2012. The bi-monthly journal covers research areas related to the modeling, observing and forecasting of processes related to water and energy fluxes and storage terms. The journal is one of very few scientific journals devoted to studies of the interface between the land surface and the lower atmosphere, and their roles in the energy and water cycles. Leung is widely considered one of the top few researchers in the United States and the world in regional climate modeling, and is internationally recognized for her research on regional climate change and the hydrological cycle. Her research on climate change impacts has been featured in Science, Popular Science, Wall Street Journal, National Public Radio, and many major newspapers. She leads important efforts in defining research priorities and needs in regional climate modeling, and coordinates community efforts to develop capabilities in community models to simulate regional climate. Her research crosses scientific disciplines to advance the state-of-the art in predicting climate change and its regional impacts. Leung has published over 100 peer-reviewed papers and book chapters.